NEW 3 STALL STAND ALONE custom condo at The Preserve of Boulder Creek built by Redstone Homes! 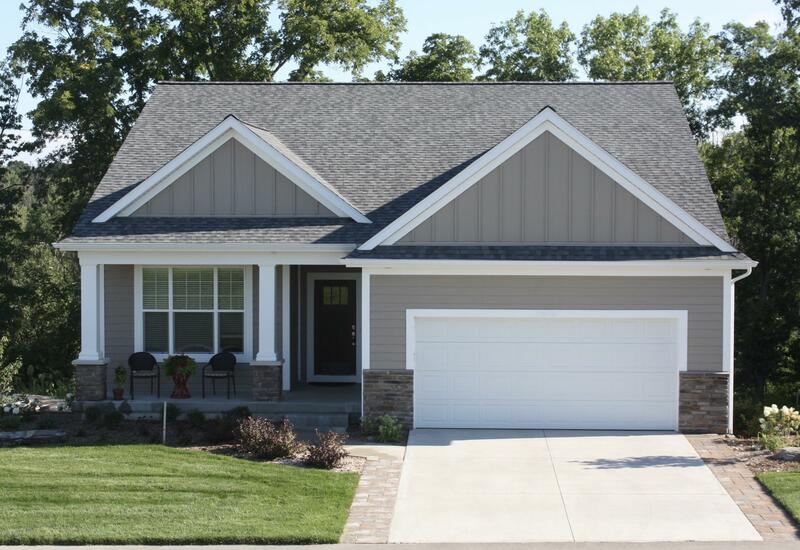 The Riverstone plan is 1701 sq ft with 2 bedrooms and 2 full baths on main floor- perfect for living on the main level. Welcoming foyer flows into the great room with dining space and living room with fireplace. The stylish kitchen features amazing cabinet layout, walk in butler pantry, stainless steel appliances, tile backsplash and adjoins the light filled four season or optional dining area that opens to composite deck. The master suite includes dual sinks, tile shower and walk in closet that has convenient access to main floor laundry room. Finish the ''optional lower level''- family room, bedroom and bath for additional 968 sq ft, plus storage. The Preserve is a premier community located close to Boulder Creek Golf Course, shopping, outdoor activities, restaurants and easy expressway access. Schedule a tour today as the Final Phase at The Preserve will sell out fast! Carefree Living!